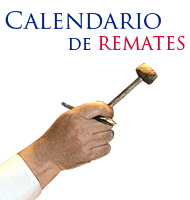 REMATE * 01-ENE-10 * 07:00 Hrs. * LES INFORMAMOS QUE PERMANECEREMOS CERRADO DURANTE EL MES DE FEBRERO. *NUESTRA ATENCIÓN AL PÚBLICO COMIENZA A PARTIR DEL 4 DE MARZO.